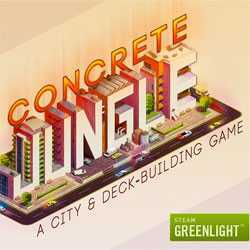 Concrete Jungle is a Strategy and Puzzle game for PC published by ColePowered Games in 2015. This game has come up with new ideas. It has mixed Strategy genre with puzzle nicely. The players have to collect cards to have new buildings in their cities! The gameplay is like solving a puzzle.